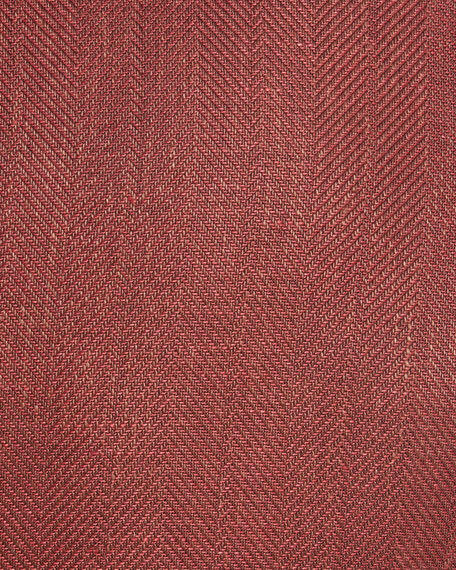 Z Zegna jacket in herringbone weave. Front flap pockets; chest welt pocket. Brunello Cucinelli suede moto jacket. Notched collar; asymmetric zip front. Long sleeves; zip cuffs. Three zip pockets. One flap pocket. 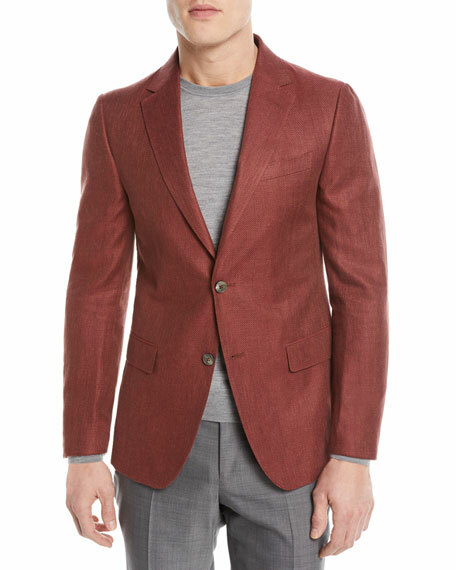 Brunello Cucinelli suede moto jacket. Notched collar; asymmetric zip front. Long sleeves; zip cuffs. Three zip pockets. One flap pocket. Belted at waist. Yoked back. Lamb leather. Made in Italy. Model's measurements: Height, 6'1"/185cm, waist 30"/76cm, suit 38R, shirt 14.5x34, inseam 34"/86cm. Canada Goose "Brunswick" lightweight, waterproof shell jacket. Stand collar with snap closure; two-way adjustable hood with reflective stripes for visibility. Canada Goose "Hendriksen" coat in diamond quilted pattern. Approx. 32"L down center back. Heavy-duty rib-knit collar keeps out the cold. 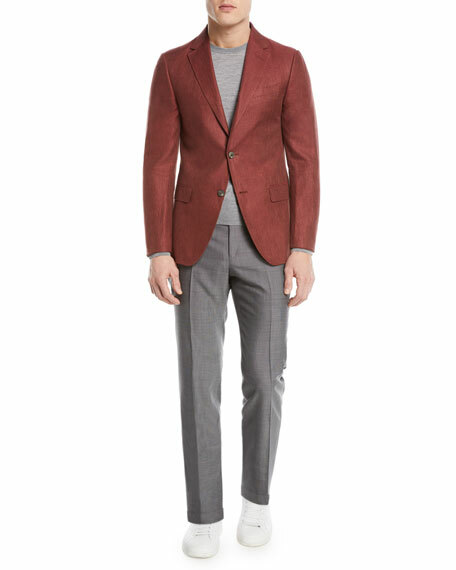 Ermenegildo Zegna sport coat jacket in two-tone check. Notched collar. Two-button front. Basted sleeves. Left chest pocket. Front flap pockets. 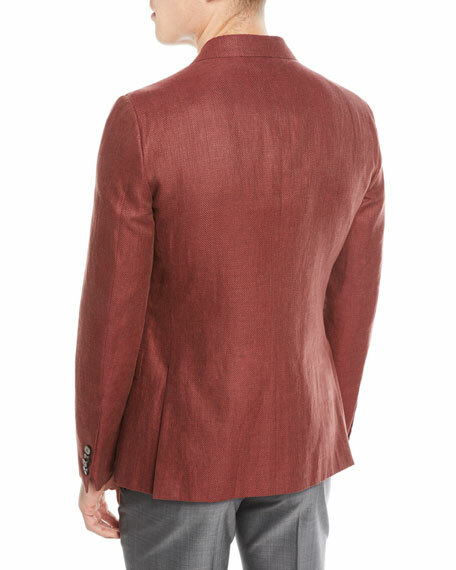 Ermenegildo Zegna sport coat jacket in two-tone check. Notched collar. Two-button front. Basted sleeves. Left chest pocket. Front flap pockets. Double vented back. Wool. Made in Italy. Model's measurements: Height, 6'2"/188cm, Suit 40L, Shirt 14.5x35, Waist 32"/81cm, Inseam 33"/84cm.